Since getting engaged in December, the one thing that seems to have gone to pot is the idea of date night. Something that was religiously adhered to has been put on a back burner. However on Thursday we had our second of the year. Although it wasn’t somewhere new we were visiting, Atari-ya is a firm favourite of ours and was an easy choice. We rocked up at 8pm to the 30 odd seater restaurant in Hendon. They very kindly leave the reservation names on the tables so you can simply head over to your table upon arrival. I always find it slightly sad when people who haven’t tried sushi make funny faces at the thought of “Raw Fish”. However when one considers that salmon sashimi is not dissimilar to the likes of smoked salmon, just slightly thicker slices. I too once upon a time disliked the idea of sushi, however it was more the overly fishy taste that put me off. So now I simply steer clear of the California roll! Atari-ya is a small but fairly traditional, neighbourhood sushi restaurant. It’s a great place to start your sushi journey as everything is so fresh but they also have non “raw fish” options including black cod, udon noodles and chicken yakitori amongst other things. Sushi is a pretty easy bet when it comes to ordering, pick some Sashimi, add to it a few choices of Sushi, throw in some miso for good measure and your pretty much good to go. 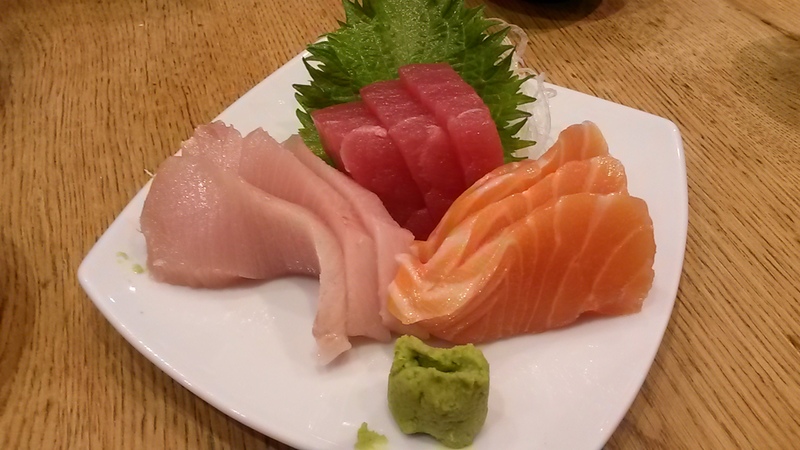 We started by ordering the Sashimi Mori – essentially a selection of Tuna, Yellow Tail & Salmon sashimi. One of the things that brings us back to Atari-ya again and again is the fact that the sashimi is so unbelievably fresh. Let’s just say they didn’t let us down. 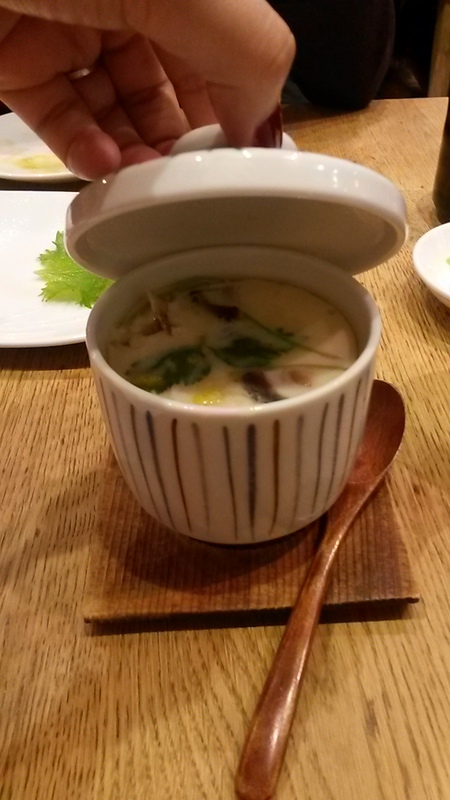 Next up was our miso soup. 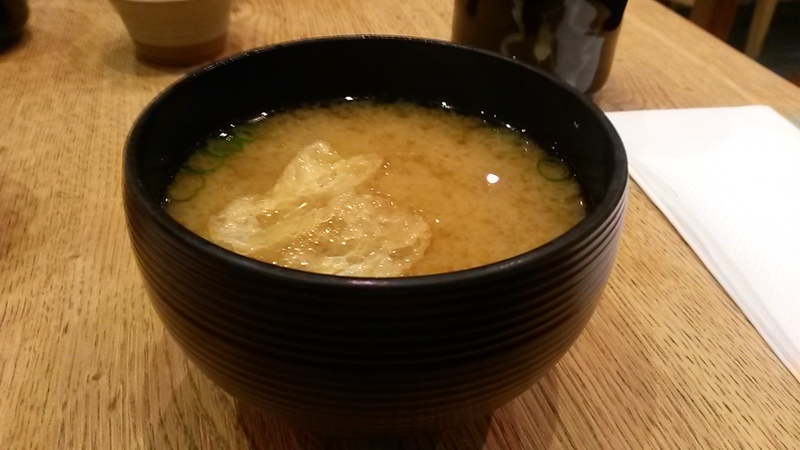 I don’t think you can really go wrong with miso, this had a piece of tofu in it too. 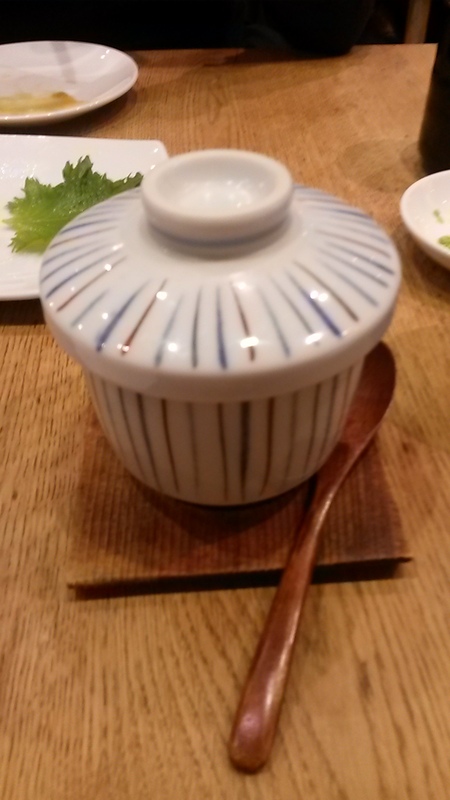 For a long time now, whenever I’ve been to Atari-ya I’ve ordered the Chawanmushi which comes in a rather cute China pot. When you remove the lid, you find a savory custard filled with chicken, prawn mshroom and a few other goodies which are steamed until the mixture sets. Whilst Mr R had a few bites as he always does and then claimed that it was ok, not outstanding, there’s something I quite like about it. Goes to show why I always order it and he doesn’t. To be fair had it not have been on the set menu at Soseki 4 years ago, I doubt I ever would have tried it. Funnily enough, the last time I took my parents to Atari-ya, they quite liked it too. The nice thing is they give you the option of having your maki rolled in sesame seeds or fish eggs, we asked out waitress to surprise us! All of the above were well made, tightly wrapped and very fresh rolls. 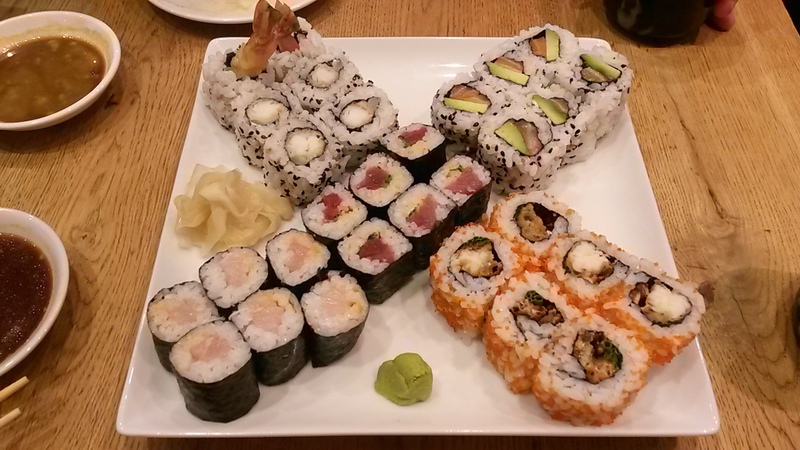 I particularly enjoyed the tuna, yellow tail and prawn tempura rolls. But in my humble opinion, everything was delicious. Whilst I usually only blog about places that are new to me, Atari-ya deserves a shout out due to the consistently good quality sushi. The fact that they also serve a very good offering of black cod in addition to a number of other less fishy dishes means even sushi-phoebes should be able to find something they like. With restaurants in Hendon, Swiss Cottage, Bond Street & Ealing Common, there’s plenty of opportunities to try this little delight!